So you’re finally getting to record the song of your dreams? Great. 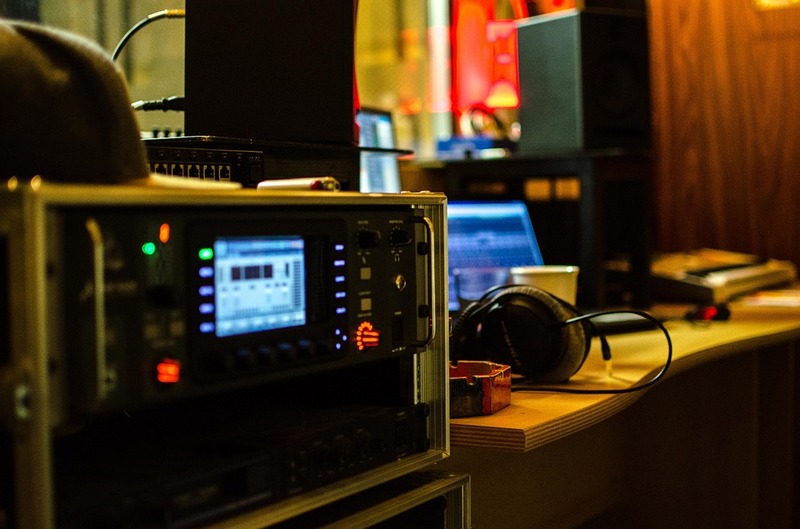 Whether its a home professional setup or a high end production facility, the studio environment is one of the most fun and creative places for a musician/artist to be in. However, without the proper approach it can become the stuff of nightmares! Recording in a pleasant sounding room is very important. Acoustic treatment, if setup correctly, will always help but you don’t want to rely on this alone. For example, if you’re setting up drums, walk around the space hitting the snare listening out for the ‘sweet spot’ in the room. This will give you a good indication as to where you should put the kit for recording. In addition to the sound of the room, creating the right ambiance is also key. This can be achieved through hanging up thematic artwork related to the record, mood lighting, comfortable floor rugs etc. Basically you want to create an atmosphere where everyone feels both at ease and inspired. Put together a conservative plan of what you want to get done for each studio session. Leave enough time aside for any problems that may occur (and often do) during the day. If band members don’t need to be there for certain parts of the session, then at least give them the option of heading off somewhere for a few hours. Too many idle musicians in the studio at one time can lead to tension and general distraction. Making a schedule is also vital as it gives a timeline of clarity on what needs to be completed and when it needs to be done by. Never leave things up in the air. Be decisive. In my experience, many bands have sabotaged their own albums by not being decisive enough especially when it came to the final parts of the recording/mixing process. “Do we need a twelve string for that part? Should the cowbell have more reverb? Should we include the backwards guitar loop?” The answer is always “make a decision and get the track finished”. Make sure you’re actively listening to whats been played back through the studio monitors. If there are parts that you like or maybe have to be redo then quietly make a note of it and confer with the group/producer when playback has ended. Try not to focus too much on looking at the computer screen. close your eyes and use your ears to really listen in on the mix. As the Beach Boys once described in song three times over, fun should be at the heart of everything we do. The same goes for being in the studio. Its easy to get caught up in the stresses and strains of trying to nail that perfect take but once and a while you have to be able to cast an objective eye on proceedings and see the experience for what it really is. Don’t be afraid to smile and joke around when the time calls for it. Its very difficult to be creative if everyone has a frown on their face! I just want to tell you that I’m newbie to blogs and actually savored you’re web page. Likely I’m going to bookmark your site . You certainly have fantastic articles and reviews. Thank you for revealing your blog. I must express thanks to the writer just for rescuing me from this condition. Right after browsing throughout the search engines and getting tricks which were not pleasant, I assumed my entire life was done. Living minus the solutions to the problems you have solved by way of your good short post is a serious case, and those which may have adversely affected my career if I had not encountered the website. Your own understanding and kindness in maneuvering a lot of stuff was very useful. I’m not sure what I would have done if I had not come upon such a subject like this. I’m able to at this point relish my future. Thanks for your time so much for the impressive and sensible guide. I won’t hesitate to endorse your blog post to anybody who should receive counselling about this matter. Great post. I was checking constantly this blog and I am impressed! Very useful information specially the last part 🙂 I care for such info a lot. I was seeking this certain information for a long time. Thank you and best of luck. I’m still learning from you, as I’m making my way to the top as well. I certainly love reading everything that is posted on your site.Keep the information coming. I loved it! I like the helpful info you provide in your articles. I’ll bookmark your weblog and check again here regularly. I’m quite certain I will learn lots of new stuff right here! Good luck for the next!